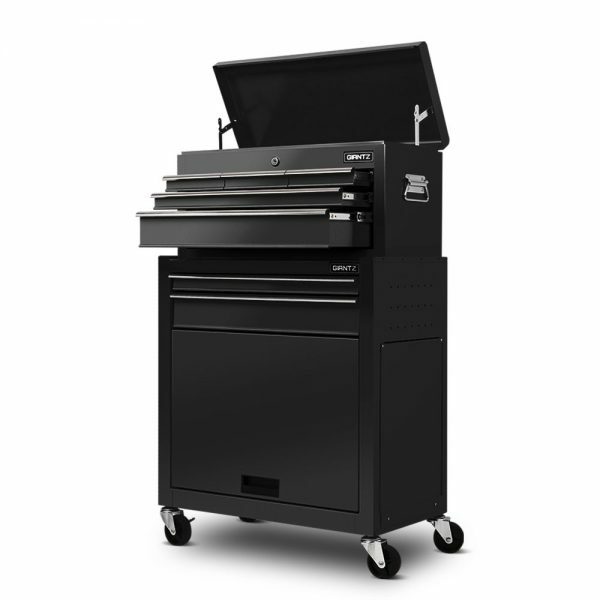 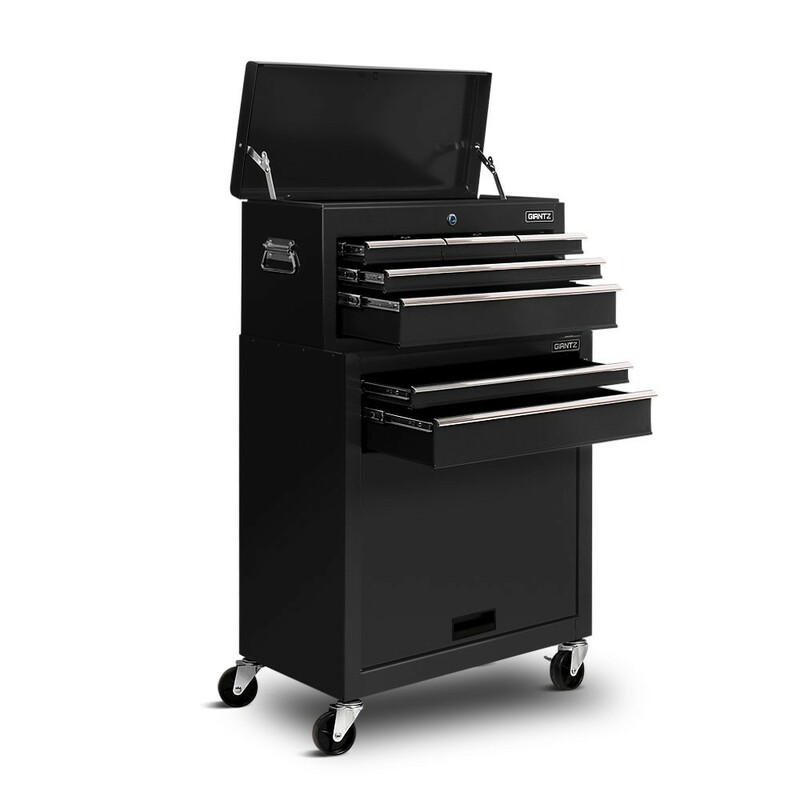 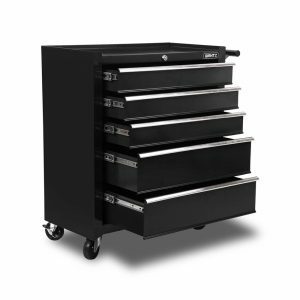 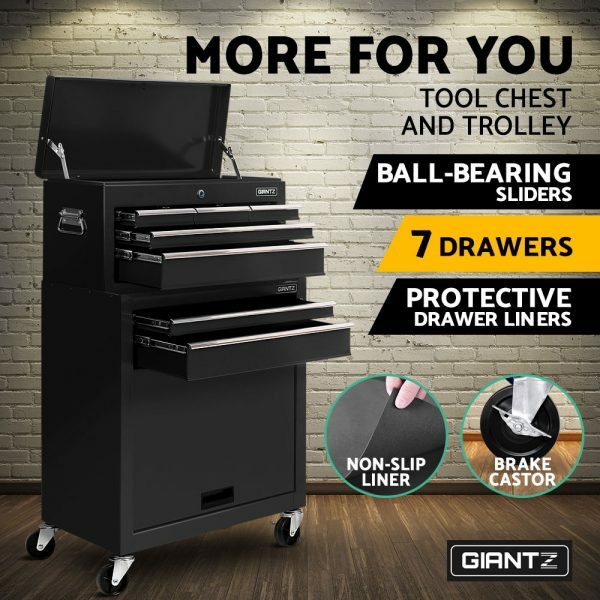 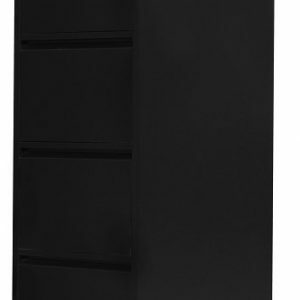 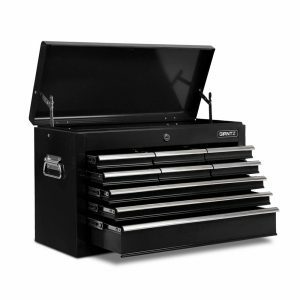 This heavy-duty 7-drawer Black Tool Trolley is built with varying drawer depths and sizes to keep your precious tools in their proper place with drawers that are specifically designed to cater to various tool sizes. 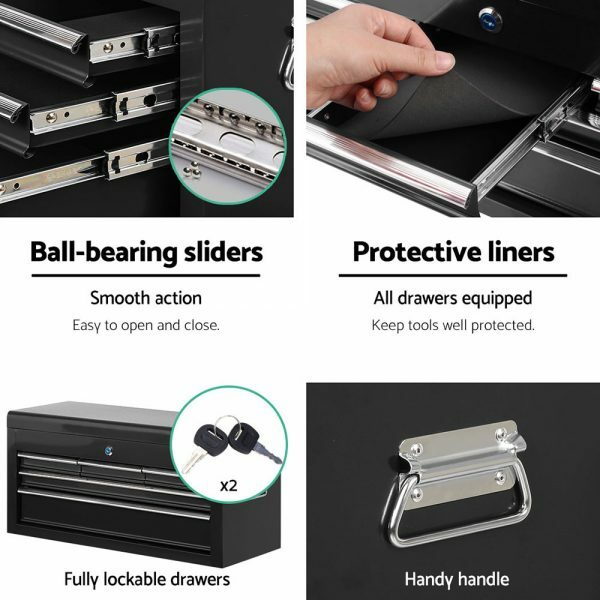 From top to bottom, each drawer slides in and out effortlessly on quality ball bearings incorporated into the metal drawer runners. Each drawer is also lined to protect your tools and keep them from moving about. 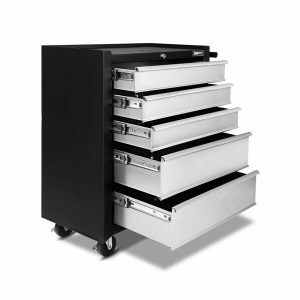 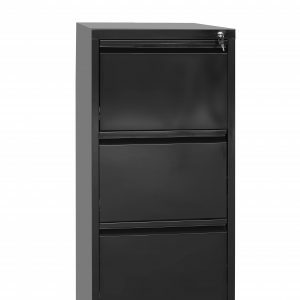 Plus, the tool trolley is installed with a round barrel lock that is more reliable and secured compared to general locks. 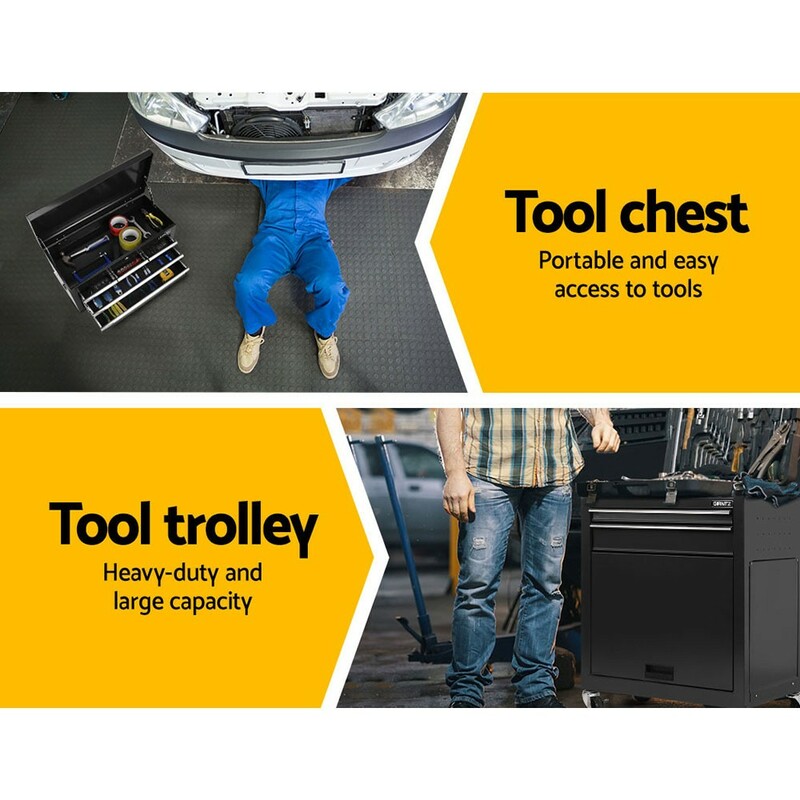 Not least, the tool trolley is also highly portable with a sturdy side handle and rotatable anti-slip castor wheels with brakes to transport it to any work location when necessary.